Predicting the popularity of online items has been an important task to understand and model online popularity dynamics. Feature-based methods are one of the mainstream approaches to tackle this task. However, most of the existing studies focus on some specific kind of auxiliary data, which is usually platform- or domain- dependent. In existing works, the incorporation of auxiliary data has put limits on the applicability of the prediction model itself. These methods may not be applicable to multiple domains or platforms. 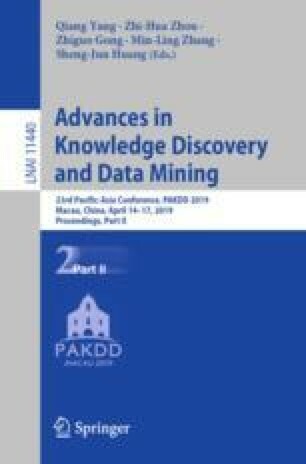 To address these issues, we propose to link online items with existing knowledge base (KB) entities, and leverage KB information as the context for improving popularity prediction. We represent the KB entity by a latent vector, encoding the related KB information in a compact way. We further propose a novel prediction model based on LSTM networks, adaptively incorporating KB embedding of the target entity and popularity dynamics from items with similar entity information. Extensive experiments on three real-world datasets demonstrate the effectiveness of the proposed model. This work was partially supported by National Natural Science Foundation of China under the grant numbers 61872369 and 61832017, and the Science and Technology Project of Beijing (Z181100003518001).